“I specialized in motherhood photography when I was a full time photographer and my absolute favorite sessions were always the ones where the babies were around 7 months old. It is this time in their lives where they are not quite independent, but you see so much of who they are as a tiny human and their personalities. I always told myself that when my baby was 7 months old we would have a session capturing that time in our lives. I am so thankful we made it a reality and we have these moments to cherish! What made this session even more special is that we were able to use the setting of mine and my husband’s first date. It is also where he proposed and where we got married. It is so sentimental to us to use this location that has been part of so many milestones in the life of our family. 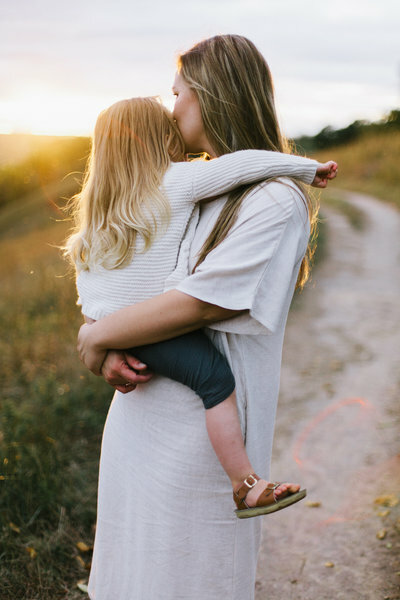 Motherhood is hard and it seems that every day I am continually learning to be intentional and authentic with each part of our lives. It is a constant learning experience, but time goes so fast and I want to truly embrace each moment. We get so caught up in things that truly don’t matter in our lives and my goal is to really take in what does matter and be thankful for each moment we have. I am learning so much about myself through being a mama and it is a crazy beautiful thing!